Feeling proper smug as I hit gold on the bargain bread trolley in Morrisons today! 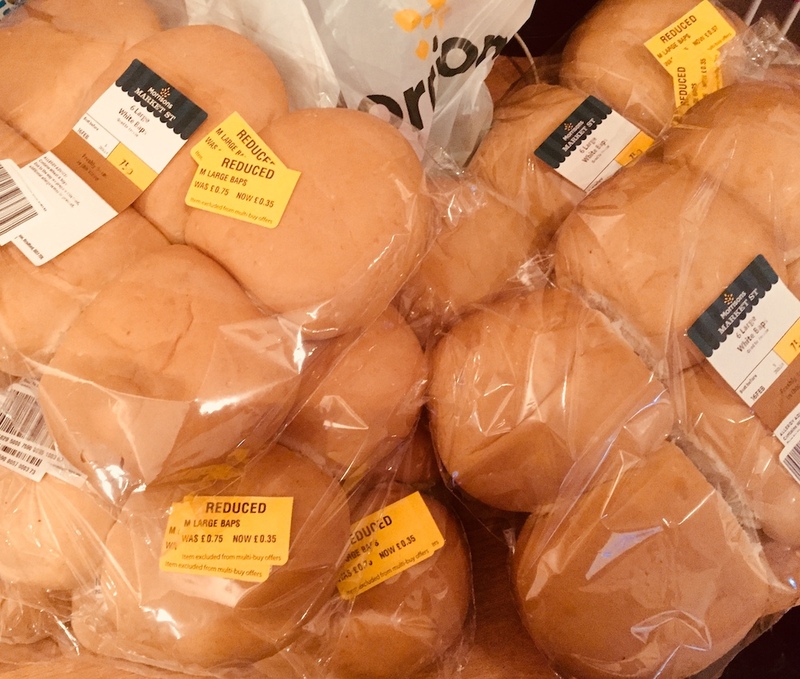 I got several packets of white bread rolls each reduced from 75p to 35p which I’ve stashed into our counter top freezer – which itself was another bargain which we picked up for just £5 from Facebook marketplace! With six large baps per packet – that’s just under 6p per roll which makes a lot of difference with five hungry mouths to feed in my family! 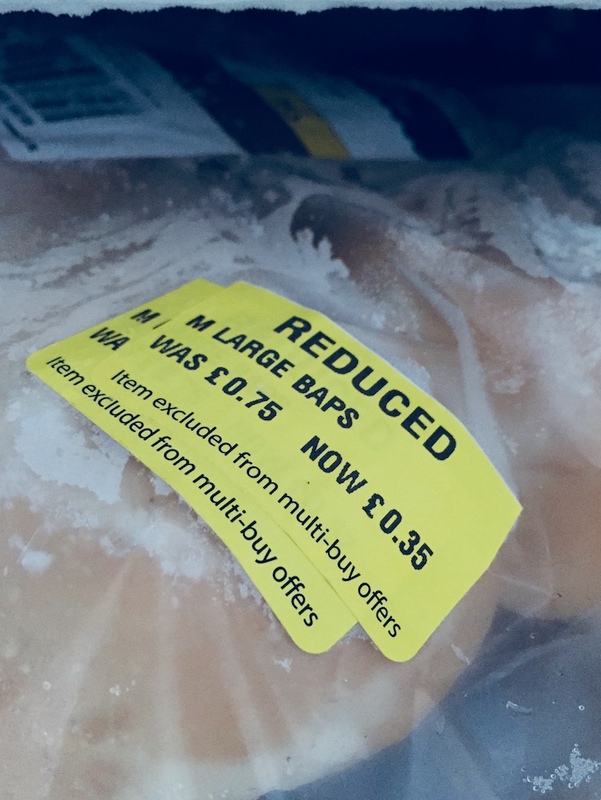 I must admit, I am a stay-at-home mum with a little one, so I do have extra time on my hands to scour my local supermarkets for stuff they’ve reduced or put on offer and it either goes in the freezer until we need it or I plan a meal around it. We love our vegan burgers so the rolls may be part of that meal or simply defrosted for school lunchboxes or hot buttered toasted rolls with hot chocolate one evening. You can find the times supermarkets reduce their prices on various money-saving websites but I have found it is best to get to know your own local shops yourself. I’ve also found some local cornershop stores like the small co-ops have some great bargains particularly with their bread at the end of the day. I sometimes get loaves for just 5p which is crazy really. It really makes you begrudge paying full price for one when you have to. When you make a saving – stick what you have saved in your 1p saving challenge….more on that soon…. Don’t forget to subscribe to my newsletter and you’ll be the first to know about new ways to save and make more dosh on a plant-based diet. Next post: Supermarket app can save you pounds!